In case you didn’t already know, TransLink will be spending $100+ million to replace our fare collection system with a new smart card/turnstile based system. While there has been a bit of controversy over replacing the only eight year old system (and a pretty good one at that), there is another TransLink rolling out a smart card system in the San Francisco Bay Area. The Bay Area currently has over 25 agencies that provide transit services in the region. The smart card system they are rolling out has been in the works for over a decade. I had the chance to see how the system works when I was down in San Francisco last week. It is pretty impressive. 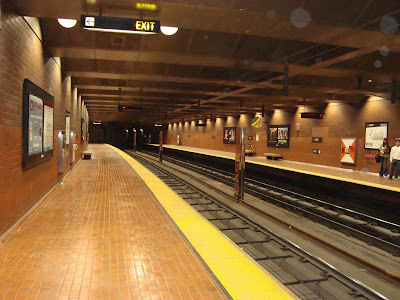 BART, the regional metro system, uses fare gates and distance based fares. 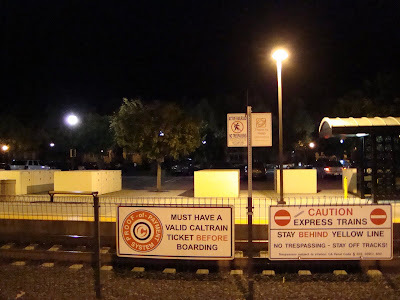 CalTrain, the commuter rail system, and VTA Light Rail are based on the honour system (like SkyTrain). Of course, the normal fare boxes are used on buses and Muni Metro trains. The smart card system can handle it all. The smart card has an e-purse and a transit pass storage section. You can load it up with passes from any agency in the region and add money. It takes care of sorting out the fare you pay on each system. You simply tag a reader when you get on transit, and tag it again when you get off. I can see the value in a smart card system in a place like the Bay Area with so many agencies. In fact, I had to carry BART, CalTrain, and Muni tickets everywhere. This was a big pain in my pocket. What we are doing in Vancouver seems more like a "cool thing to do" than anything else in comparison. Did you know the MTA in New York is based on the same system that we currently use in Metro Vancouver?